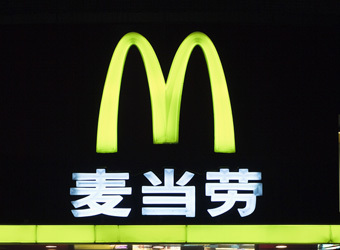 Less than one in four multinationals have rebranded well for their entry into the Chinese market, a study has found. 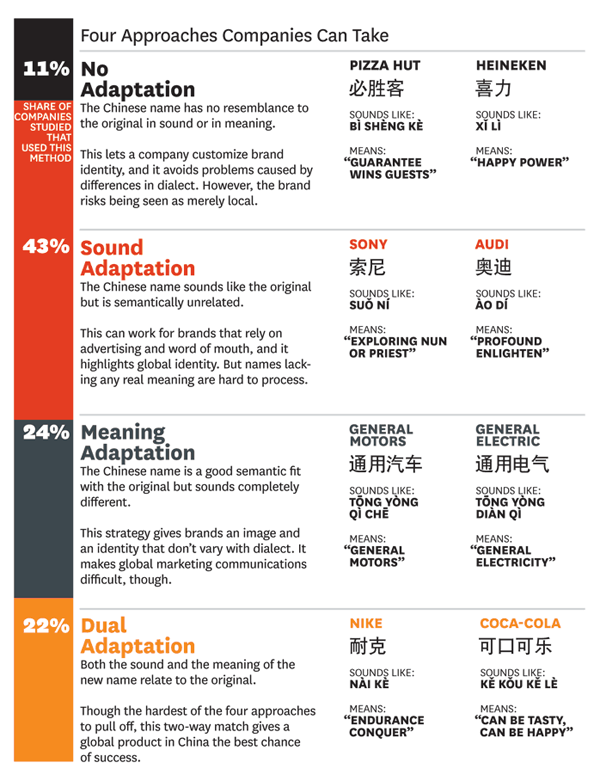 When entering China, a brand’s name should be changed so that the sound and the meaning of the name relate to the original, the research conducted by a group of academics argues. Only 22% of businesses entering the market adopted this full renaming approach to optimise the appeal of their brand. Companies moving across borders often take not only ineffective names into the new market, but sometimes stick with inappropriate or damaging ones. Distributors in Chile asked Mazda to rename its Laputa minivan because ‘puta’ means ‘prostitute’ in Spanish, according to Harvard Business Review. Clairol also fell foul of language when launching its Mist Stick curling iron in Germany only to learn that in German ‘mist’ is slang for ‘manure’. A collaborative effort by Marc Fetscherin and Ilan Alon from Rollins College, Romie Littrell from the Auckland University of Technology and Allan Chan from Hong Kong Baptist University, the study assessed the strategies of 100 large foreign firms that had entered the Chinese markets. “Ideally the Chinese name would have both phonetic and semantic associations,” they said. “Though the hardest to pull off, this two way match gives a global product in China the best chance of success”. Nike was one brand among the 22% to adopt the approach, renaming to ‘Nai Ke’, characters that mean ‘Endurance Conquer’. Coca-Cola is also represented as ‘Ke Kou Ke Le’, or ‘Can be tasty, Can be happy’. One in four (24%), adopted a ‘meaning adaption’ approach, using a name that had a good semantic fit but did not sound anything like the original. General Motors and General Electric have both employed this approach, giving them an image and identity that doesn’t vary with the dialect. Most (43%) implemented a ‘sound adoption’ approach by taking a name phonetically similar but semantically unrelated to the original. Sony refers to itself as ‘Suo Ni’, which in Chinese equates to ‘exploring nun or priest’, while Audi is known as ‘Ao Di’, or ‘profound enlighten’. “This can work for brands that rely on advertising or word of mouth, and it highlights global identity,” the study argued. “But names lacking any real meaning are hard to process”. A further 11% of companies made no change, instead electing to adopt a name with no resemblance or the original sound or meaning. For instance, Pizza Hut is written in characters that make the sound ‘Bi Sheng He’ and mean ‘guarantee win guests’, while Heineken is known as ‘Xi Li’, or ‘happy power’.